The nation’s first and only 4G network, the nation’s largest 4G network, the nation’s most advanced 4G network… the public barely knows what 4G is these days and already they’re being bombarded by marketing taglines. So what is the nation’s best 4G network, and why? In this article we’ll take a look at speed test from three of the nation’s four 4G carriers (AT&T couldn't provide us with a modem) and hopefully make some sense of it all. First, let’s take a quick look at the devices and the technology behind them. 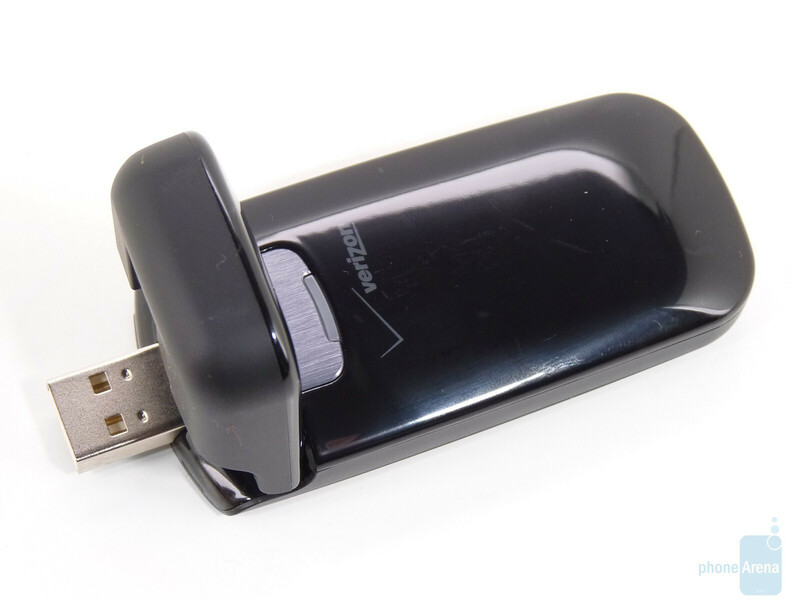 From Sprint- the nation’s “first” 4G carrier- we have the Sierra Wireless 250U 3G/4G USB modem. The 250U is capable of using both Sprint’s 4G WiMAX network and their 3G EVDO Rev. 0 or A network. Their 4G WiMAX network covers 71 markets, and has been out for a bit over two years. Sprint claims average download speeds of 3-6Mbps with peaks of more than 10Mbps. From T-Mobile- the nation’s “largest” 4G network- we have the webConnect Rocket. 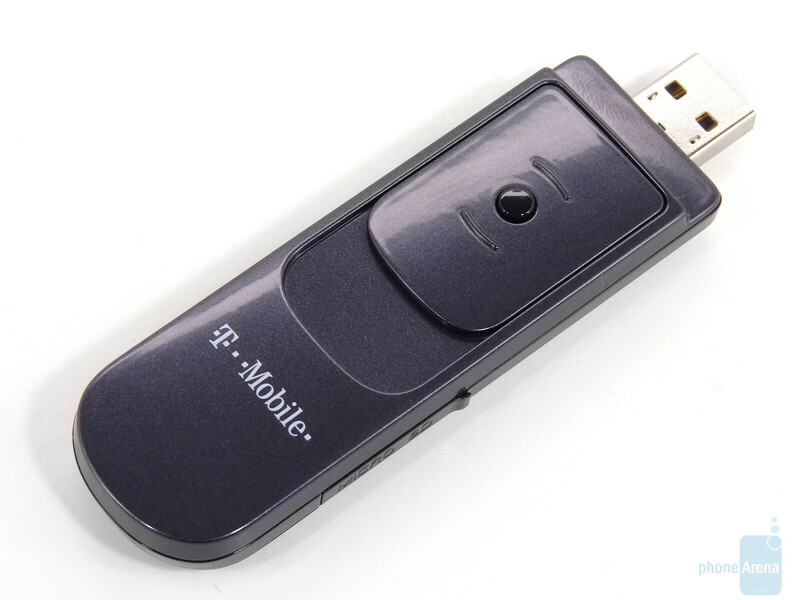 It utilizes T-Mobile’s HSPA+ network and is capable of download speeds up to 21Mbps and peak upload speeds of 5.7Mbps. T-Mobile has recently announced that they will bring the network’s capacity up to 42Mbps, but it must be noted that devices must also be capable of these speeds as well. 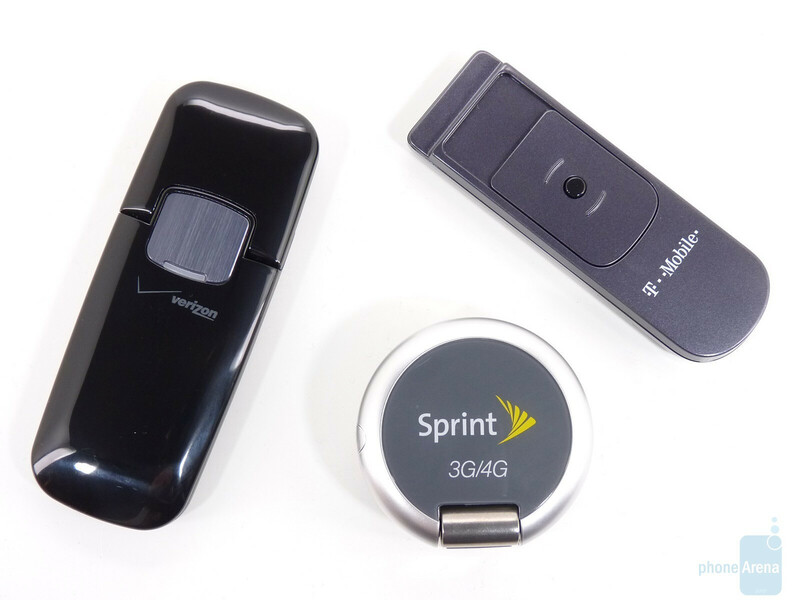 Unlike Sprint’s WiMAX and Verizon’s LTE, not all 4G devices are created equal on T-Mobile. T-Mobile claimed coverage of 100 markets and 200 million people by the end of 2010. Finally, from the nation’s “most advanced” 4G network, the LG VL600 LTE modem runs on Verizon’s 4G bands. LTE is the new kid on the block, but with AT&T and a number of foreign carriers backing the GSM-based 4G standard it looks poised to overtake WiMAX’s 2 year head start quicker rather than sooner. Verizon claims speeds of 5-12Mbps on their LTE network, and the VL600 is also capable of running Verizon’s EVDO Rev. A network for the cities without 4G yet. Verizon currently claims 4G service in 38 markets with 110 million customers covered. We tested service in Columbus, OH, which offers 4G coverage from all three carriers. We used Speedtest.net (makers of the app we use when testing smartphone speeds) to perform the tests and ran 10 tests with each device, recording ping time (in ms,) upload speed (Mbos) and download speeds (Mbps.) Ping is also referred to as latency, and measures the time it takes two devices to communicate between each other; the smaller the number the better. The tests were all run back to back, one carrier after another, within a time frame of about 15 minutes so as to limit any possible environmental factors. We used a 10% trimmed mean on each of the three categories to eliminate any falsely high or low numbers. We ran three sets of tests in different areas of town to eliminate any geographical strengths or weaknesses one area may have had for a particular carrier. As you can see from the numbers each carrier had its strong points. Sprint (7.43Mbps) edged out T-Mobile (7.39) with the fastest average download speeds, but T-Mobile made up for the small difference with the lowest latency at 97ms. Verizon clocked the fastest upload average at 1.10Mbps. For now we have to hand it to T-Mobile - the nation’s number four carrier is delivering a very rich 4G experience even if it is based off of 3G technology. The upload speeds are a concern, however. To the average mobile user upload speeds aren’t particularly important, but with 4G speeds come advanced features, the most prominent of which is video chat, which requires uploading video. The network is capable of pretty significant upload speeds (5.7Mbps) so T-Mobile needs to find a way to better utilize this. While T-Mobile’s HSPA+ network is capable of delivering crazy fast speed, it is only technically a 4G standard and in reality marks the end of the line for 3G with little growth potential. Speeds like that will get Big Pink by for another year or two, but they have yet to commit to a next generation 4G standard. Overall Verizon would be the loser in the comparison, but with average download speeds of 6.86Mbps and upload speeds at 1.10 they weren’t exactly slow. Ping time was Verizon’s biggest drawback; unlike Sprint who had two good sets of data and one bad, Verizon was consistently pulling 185ms no matter when or where the tests were performed. The advantage Verizon has is that LTE is still a fairly new technology but is gaining traction quickly. WiMAX has been around for two years and still just slightly bested the technically superior LTE standard, but like we said things like spectrum come into play just as much as underlying technology. Of course speed isn’t everything and cost can also greatly affect your decision. In general T-Mobile’s offering is the best at $40/month for 5GB of data. Beyond 5GB there is no additional charge, though speed may be throttled. Verizon 4G comes in at $50/month for 5GB or $80 for 10GB, both with a $10/GB overage charge and access to the 3G network as well. 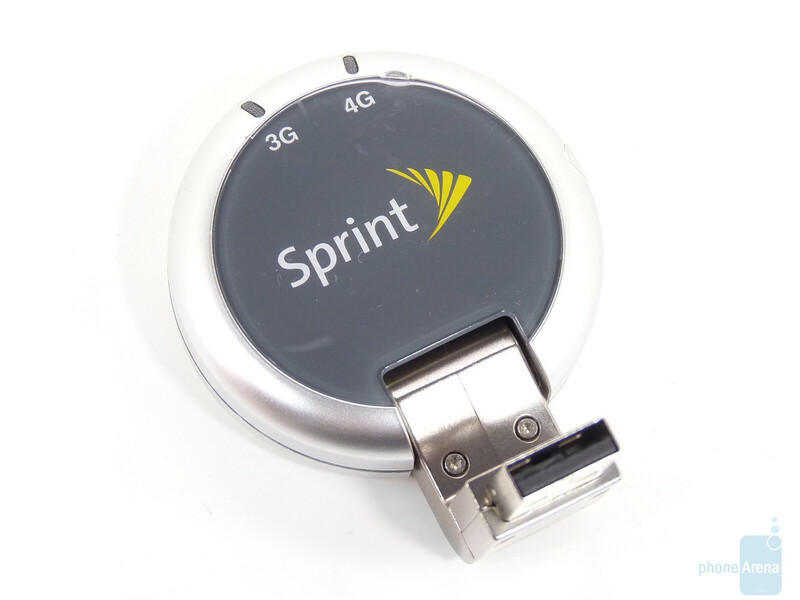 Sprint is the only one of the carriers to offer unlimited 4G, a luxury that comes at a premium price of $60/month which also includes 5GB on their 3G network. 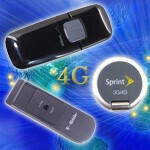 However, Sprint has recently launched single mode 4G devices (meaning no 3G capabilities) and plans are much better. For USB modems the service runs $50/month for unlimited service, for a desktop modem, the service drops to just $35 if you have another line of Sprint service. It would appear Sprint is trying to find its way into the home internet market. This is a good foreshadow of the market to come. In the future your wireless provider will be making a play into your home with super fast internet service and the option to take with you on the go. 4G will also allow carriers to move to all IP based networks, killing voice as we know it (for the better.) The industry is still immature and there is still some grappling as to what 4G really means, but make no mistake - it is coming fast. Friend just did a speed test of 4G in Columbus today and got 25.3Mbps on d/l and 6Mbps on the u/l. No way I believe you got that low. You didn't even say what network your friend's test was on. For the Articles: If "All tests have been done in Columbus, OH, how can you see the big picture. It's like why don't you goto SF and NY and make AT&T look bad or something like that. Considering the person posted their display name as VZW611, I'm guessing their using a Verizon device and using LTE. I live in Columbus and consistently get over 20 Mbps myself and occasionally over 30 Mbps. Based on my experiences, I can't believe this test is accurate. And I'm not basing my belief that this test is bogus on just one location in the city either. I can go to ALL of my friend's and family member's homes and even to work and a lot of restaurants and still get the blazing fast speeds over 20 Mbps. Out of the probably 30 or so locations that I've actually run speedtests at, only 2 have given me anything less than 15 Mbps. Come run the tests with me side by side Phone Arena. i just moved to Columbus OH a half hour ago! what r the odds! So now Columbus is the 4G mecca? I live in Columbus too. I have T-Moble but am on the 3G network. Am glad to here T-Mobile is doing well here! I'm preTTY disappointed in 4G offerings so far. The latency is amazing. That's comparable to good wifi. But upload...I'm sorely disappointed. Unless I have a bad connection my iPhone doesn't dip below 1.10 mbps up. And in the mornings and later in the evenings I get over 4mbps down. That's higher than a few of the tests shown here. Granted it hasn't always been this good, this is only in the past 8 months or so but still 4G needs to consistently stay at much higher speeds to strt to impress me. The 8 Mbps or higher results is what I'm looking for. However it still comes to upload speeds where I'm smh. I even get up to 2mbps up about 50% of the time. This is sort of appaling if smartphones or even USB modems are going to be used for video calling and online gaming. Doesn't really matter who's 4G network is currently the fastest. The major thing is which carrier will build there 4G network to become the largest and most reliable 4G. I think i'm going to go with Verizon for this one. Verizon is known for spending money to make it network more reliable so that customers have a more reliable and efficient network they can trust. T-Mobile hasn't even finish building up there 3G network. What make you think there 4G is going to be any better. Now theres nothing to be said about At&t, there recent network history is still kind of shaky . Considering Sprint has purchased 55% of the bandwidth for 4G I would say they will have the largest coverage... believe it or not! sprint doesn't even own their own towers. they lease them from towerco. verizon purchased 69% of the 700mhz of the licenses at the FCC auction. your data is wrong. verizon has proven time and time again that good things come to those who wait...aaaand they did by out 69% of the licenses!...and that auction only comes out every so often...so watch out..and for the rest of the non verizon customers, ill see you guys in line for new service while i pay my bill! This was a stupid test. Yeah test the 32nd largest metro market in the country. Good markets to test based on density in a small area with high population should of been in these four metros. Chicago, San Francisco, New York and Los Angeles. Not all in columbus Ohio. I test networks 14-18 times a month and not one carrier is investing toms of money in a metro that people are moving out of. Tmobile and Verizon are ridiculously quicker in the four markets I mentioned above. Well said and as I mention in a comment to someone's comment on post 1, the speeds represented are either clearly wrong or skewed somehow. My LTE modem is usually over 20 Mbps, sometimes over 30 Mbps. I guess this just adds to the general lack of credibility of Phone Arena that I am picking up on and can tell others have the same impressions as well based on comments to posts. Anyhow, Have a great weekend everyone! I'll be online all weekend over 20 Mbps! I call BS on this test as well. I have the UML290 with Verizon and have traveled all over with it to NYC, Philly, DC, and Houston. While I do get speed tests in the 5-10mbps range I also routinely get test well over 20mbps and will usually average around 15mbps when downloading large files. There is no way you can do 10 tests and not get a single result in the 20's, my guess is phonearena threw these results out thinking they were in error. I also have a Sprint Overdrive and based on the scores I see for Sprint these tests must have been done inside of Sprint Wimax towers because I never saw results over 5mbps when used inside late last year. I have to point out that battery life on WiMax is just awful. I think the EVO has been the sweetest phone out there for many months, but no EVO friend I know can even get a full working day out of it, let alone a 24h day. They always have a charger with them at all times. LTE is undoubtedly the future and I will be so excited to get a device with such a radio antenna in it, but until power management protocols are improved I'll be happy with getting similar (if not better) speeds on an 'older technology' that might actually give me a full days battery charge. When I had AT&T for 2 years in college (1999-2000), I could rarely make a phone call between the hours of 4-6 on weekdays because of horrible network congestion. And just like in college, having the most amount of students in a classroom does NOT offer the best possible learning experience (it's actually the opposite-until you hit too few). I know that the extreme amount of users boating AT&T's and VZW's networks shouldn't be feats to boast about, but factors that worry end users. Why do you think the 3rd and 4th carriers achieved some of the the fastest speeds (consistently at Peak times)? I know you're really talking about USB modem sticks mostly, but it's very important to mention that neither Sprint's nor VZW's networks are really capable of simultaneous voice and data. While some upcoming VZW devices 'include such functionality' (i.e. Thunderbolt), it's not guaranteed to work as a standard. Finally, it must be noted that T-Mobile's '4G' network upgrades are essentially backwards compatible because any upgrade to a tower boosts speeds everyone on the network, not simply the ones who have the newest hardware. My over-a-year-old, non HSPA+ N900 is capable of 10.2mbps max downlink speeds, but everyday tests averaged 1-2mbps until their network was upgraded from 3G to 3.5G 14mbps HSPA+, when I started to see averages around 5-6mbps. When they upgraded the network backhaul and software to support 21mbps, I got peaks of 9mbps even though my radio hardware wasn't the newest! Still not hitting my max, but the more upgrades T-Mobile makes, the more EVERYONE on their network benefits. You mentioned that HSPA+ is a dead end. No way! Read this article about the evolution of HSPA+:http://5idd.com/forget-hspa-and-lte-lthe-is-the-way-to-go/ Finally, in support of the cheapest prices, best deals, fastest speeds, most freedom, great price-war competition between providers, and for all consumer's benefit: T-Mobile has the cheapest data plans of any major service provider, no overage charges on data, no hard data cap limits, the most consumer friendly tiered data plans (most MBs for the lowest $), is one of only 2 carriers to still offer annual & bi-annual upgrade packages (Sprint/VZW have recently stopped theirs), were the 1st carrier to 'chip away' monthly at early termination fees, and most devices like mine to allow for free USB/WiFi/Bluetooth tethering! Can you tell that I'm happy with T-Mobile? early termination fees will never go away so long as the consumer demands equipment subsidy. yea this isnt right. i work in irvine ca. the download was 25 mps and 14 on the upload. maybe this was in the area where 4g wasnt available and running off the 3g. Interesting article in PC Today- by Jennifer Farwell- "Will The Real 4G Please Stand Up": The 'key points'... - The "4g wireless" touted by mobile providers is actually pre-4g, with speeds falling short of 4g expectations. - Mobile phone manufacturers are struggling to produce high-function handsets that support even these speeds. - The final 4g specification won't be approved until at least 2012 but will likely accommodate all current "pre-4g technologies." - The road to real 4g involves many significant technological considerations beyond transmission speed. She mentions, "While the 2011 generation of "4G" products offer substantially faster speeds than previous 3G connections, real 4G still has a ways to go." "LTE Advanced, WiMAX 802.16m, and LT-HSPA-E are all modified routes to 4G. None of them will be available until 2012." Berge Ayvazian, a senior consultant with research firm Heavy Reading. This guy also mentions that "4G phones will need multi-core processors and Swiss-army-knife chipsets to perform all their duties efficiently. That isn't quite possible quite yet. We haven't seen any LTE smartphones (in real-world situations) yet...the Samsung Craft- a first generation 4G phone- is not very sophisticated. Your experience on the HTC EVO and Epic is better than (with) the Craft." As a follow up to my last post, i'm at home where i only receive 2 bars of signal strength and my last speed test was 27.14mb down and 6.17 up. You sure your test wasnt in columbus, ga? i live in the chicago area and i get over 20mbps down on verizon.... i also went to columbus last week and got over 20mbps so this articule is complete bs.